There’s a new tool on the market for helping students and parents navigate the college admissions process--particularly the sometimes-daunting essay requirements--for more than 1,000 schools. 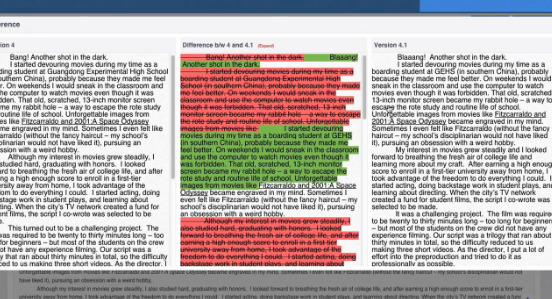 The tool, Edswell, lists things like an application’s essay requirements sorted by schools, and allows students to input drafts, which can be checked by parents and school counselors. Built on DropBox, it helps sync and version-control various drafts prior to submission, organizing them on a single screen. Students can also see the differences between versions at a glance. School personnel like counselors can create lists of multiple students, and add schools for them to track. A separate dashboard for counselors allows them to see students’ essay progress all at once. In addition to essay management, the tool helps track admissions stats, such as SAT/ACT range, average GPA, and in-state/out-of-state tuition. A 30 day trial is currently being offered.